Welcome to 45,000 deeded acres and 16,000 leased acres of the finest grass country in Montana. 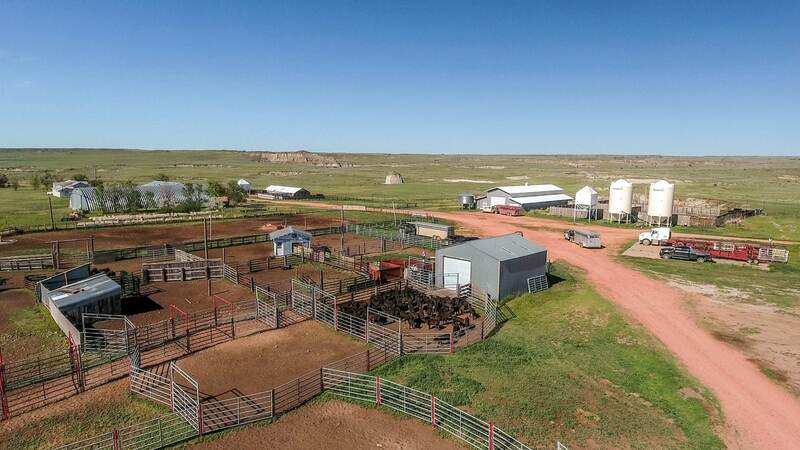 This ranch has the lush grass that the Texas cattlemen moved to Wibaux Country for as depilated on the show “Lonesome Dove”. The grass is still green in August and there is an abundance of water via Cedar Creek, springs, dams and a new 50-mile pipeline. The 2,000 mother cows are run on half of the ranch per year resting the other half. 1,300 acres of hay ground supplies the winter feed. Many draws with Cedar trees, badlands to rolling hills provide abundant shelter for the cattle and superb hiding places for the Mule Deer, Whitetail Deer and several species of upland game birds. There is an excellent road network that makes the ranch very accessible. Two complete sets of ranch headquarters (each with three homes), a ranch manager’s residence plus a very comfortable 10,000 sq. ft. Log Lodge makes the work and living easy. A MUST SEE TO APPRECIATE RANCH.